Here is a new version of my Metropolis design. 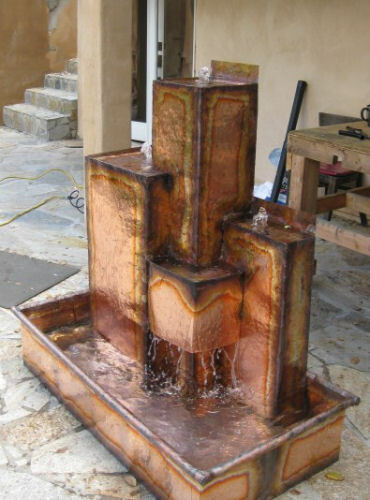 This fountain is 4' tall x 4' wide x 2' deep. It is basically like taking my standard Metropolis and making half of it. The Metropolis design has been very popular for both its water effect and the ability to be changed in scale. It is one of my signature designs.